You have to have been living under a rock if you haven't noticed the proliferation of announcements about everyone and her husband launching a tablet device of some description. Whether it's the BlackBerry Playbook, the Motorola Xoom, the iPad or one of the new Samsung devices, there's no getting away from it, the new category of tablet devices is taking off. But what does this mean to the mobile world? It does feel like tablet devices are coming under the remit of the mobile teams - largely based on operating system knowledge and partly because of the whole apps thing that mobile teams are already familiar with. Media owners in particular appear to have embraced tablet devices with the FT being one of the first to launch their iPad app last May with other media owners in print and now TV, not that far behind launching. Hey, even EA games has produced a specific version of Need for Speed Undercover for the BlackBerry Playbook. The big guns are taking this seriously. In this panel session, supported by BSkyB, we're going to explore the business models around tablet devices, what the opportunities and threats are specific to the device. Will we go beyond content consumption and move into content creation or enterprise apps. 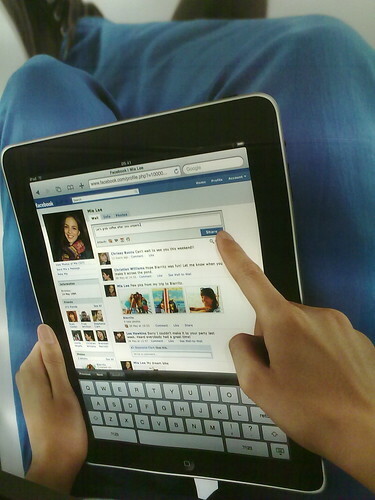 Will the new tablets make the mobile web stronger with HTML5 support or shift us deeper into the application ecosystem? The panel will be led by Leila Makki of TelecomTV fame and she will be joined by David Gibbs, Director of Mobile Applications and Services, BSkyB and Mark Payton, Editorial Director, Haymarket Consumer Media. Further panellists to be confirmed. We are also pleased to let you know that we will indeed have tablet devices available for you to have a look at and play with in both BlackBerry and Gingerbread flavours from our friends at RIM and Google. I daresay there may be a few iPads floating around too. Photo credit: LoopZilla. Used under Creative Commons licence. Doors open at 6pm for a prompt 6.30pm start. Panel session 6.30pm until 7.45pm followed by networking and drinks. Venue: CBI at Centrepoint – nearest tube is Tottenham Court Road. Centrepoint is directly above Tottenham Court Road tube station. Please use the entrance at street level. Please register and RSVP at http://momolo.org/ if you'd like to come. One of the world's largest broadcasters, Sky, is driving a fresh and inspiring approach to entertainment - with over 10 million subscribers and 16,000 talented employees helping us to produce a wealth of outstanding content delivered to a variety of platforms and devices. At Sky, technology is the key to driving us forward and delivering ground-breaking innovations. Sky’s interactive and mobile technology department is the power behind the biggest commercial mobile internet platform in the UK as well as many award winning applications and services. This includes the world's first subscription based live TV service on the iPhone and iPad as well as 5 of the all time top 100 most downloaded iPhone applications that are actively used by millions of people each week. Looking to take advantage of the potential that the new generation of phones and particularly tablets offer, we are looking for mobile technologists who have a passion for pushing the boundaries to get the most out of these platforms. Working in a collaborative, agile way, we empower small, focused, cross-functional teams to deliver fantastic solutions that make the best out of the great Sky content. Successful people will have a real focus on quality and enjoy working in a team of other disciplined software engineers. We are looking for people across all technical disciplines with specific interest in experts in the android and iOS platforms. We do all we can to make Sky a great place to work – as fun as it is fast-moving. Progression is such a vital part of life at Sky, so you’ll definitely find plenty of opportunity to stretch your talents. We reward these talents with great benefits. 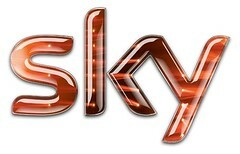 Free Sky+ HD, broadband and our top viewing packages are the most popular, we’re happy to say. On top of that, there’s an excellent pension, share save scheme and private healthcare. And, because we’re going all out to be carbon neutral, we offer discounts on bikes and eco-friendly cars for getting to work.